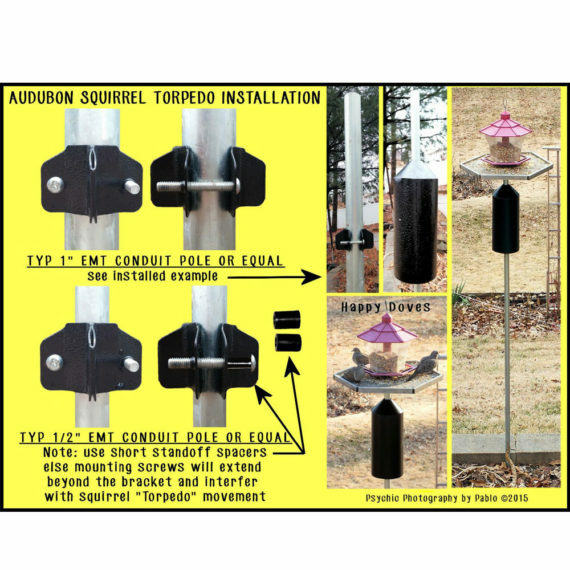 Keep squirrels out of your pole mounted bird feeders with the Woodlink Audubon Torpedo Black Steel Squirrel Baffle. Measuring 6″ in diameter and made from powder coated steel it is ready to confuse and dismiss squirrels! 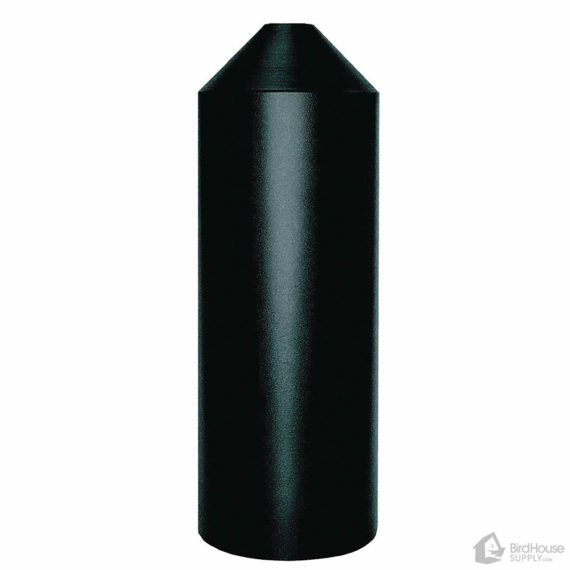 Baffle and included mounting hardware are made of metal. 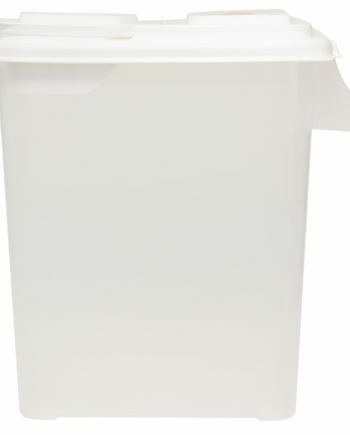 Slide on installation only – WILL NOT WRAP AROUND – must slide on befor installing feeder or pole. 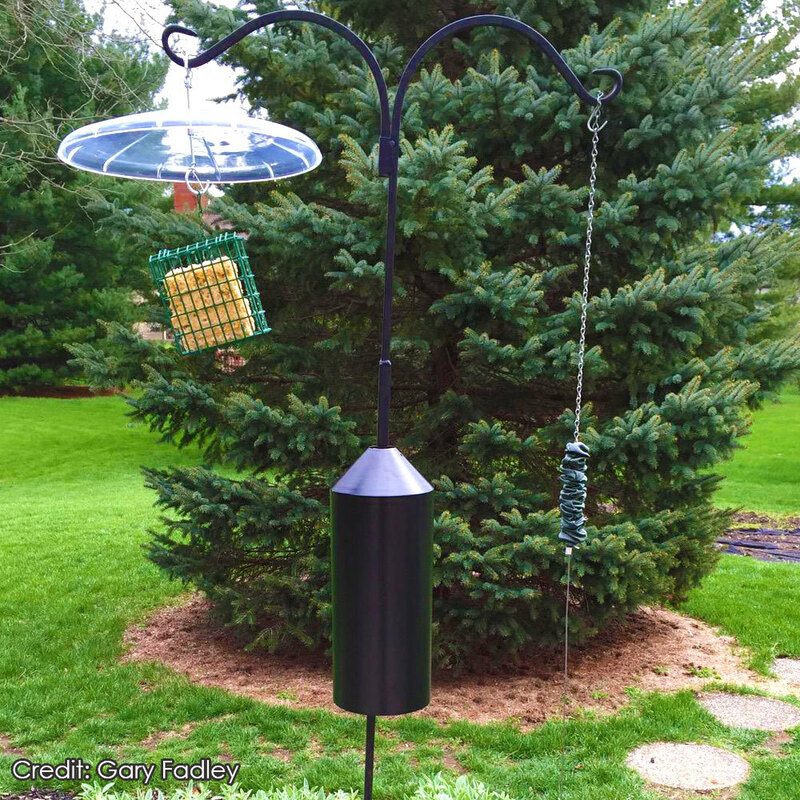 Get on of the most time-tested and well regarded squirrel deterrents available today!